Fire department groups are often very competitive and love sports. For example, fire service teams competed in baseball and softball for over 75 years. The games and teams diminished starting in the mid-1980's, as many departments transitioned to career staff who increasingly lived outside of the County, due in part to the high cost of housing in Marin. This section will eventually include more information on fire musters (skills competitions), water fights, and other sporting events. The Corte Madera Volunteer Fire Department Ltd. 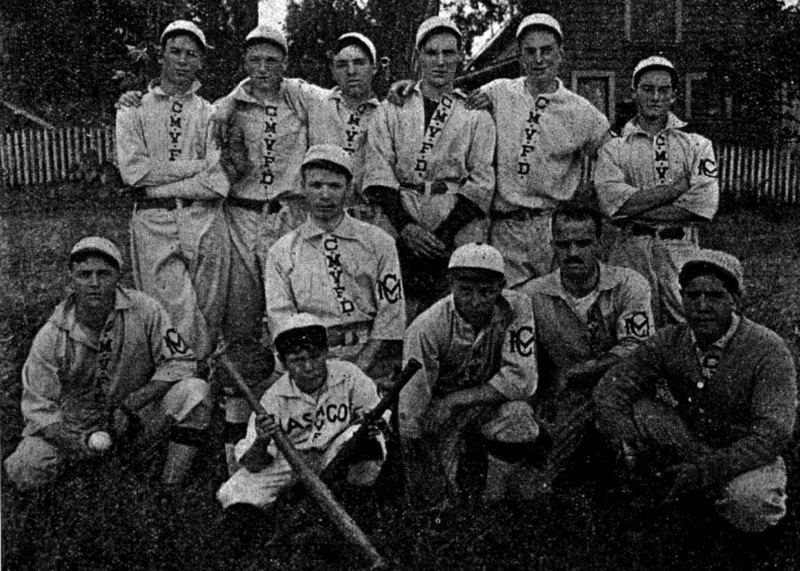 Baseball Team paused for a group photo in 1913.